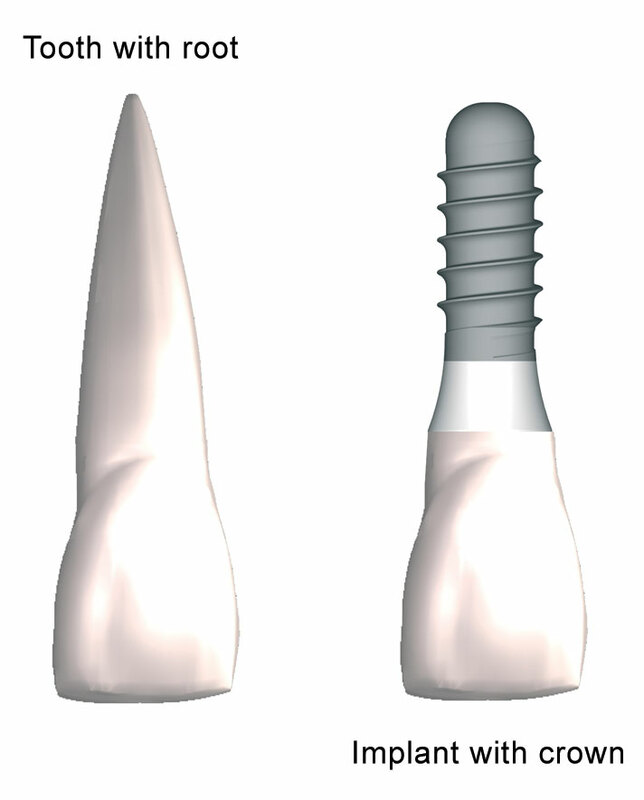 Dental implants look and act like natural teeth, and are considered a wonderful option for those who are missing teeth. Nothing can take the place of a great smile when it comes to making a good first impression. A healthy smile increases confidence as well as your willingness to get out into the world. Another consideration regarding whether or not to get dental implants involves comfort. Dentures and bridges can cause discomfort, especially when it comes to everyday activities like chewing food or talking with others. Unlike partial or full dentures, dental implants are permanent and there’s nothing to take and clean separately. Dental implants can be maintained by brushing and flossing, like natural teeth. It’s also important to note that daily brushing and flossing are vital when taking care of implants and surrounding gums, since they are so much like natural teeth. You, along with your dentist, will decide whether or not dental implants are right for you. The first step in making this determination involves setting an appointment with your general dentist. If he or she is unable to do the procedure, you’ll receive a referral to a specialist. To determine whether or not you’re a candidate, you’ll need to provide a complete dental and medical history. The dentist will take x-rays and possibly a CT scan, which will identify the health of your jaw bone for the procedure. Then the dentist will consult with you regarding the entire implant procedure from start to finish. Finding out whether or not you’re a good candidate for this procedure is worth the time and effort – dental implants not only change your smile, they can change your life.